India is a land of people who belong to different faiths and religions but in spite of this all (irrespective of the caste/faith/religion to which they belong) are firm believers in almighty. They believe in God, his existence and his mighty power. This is quite evident from the myriad number of temples gracing Indian subcontinent from the time of the earliest civilisations. 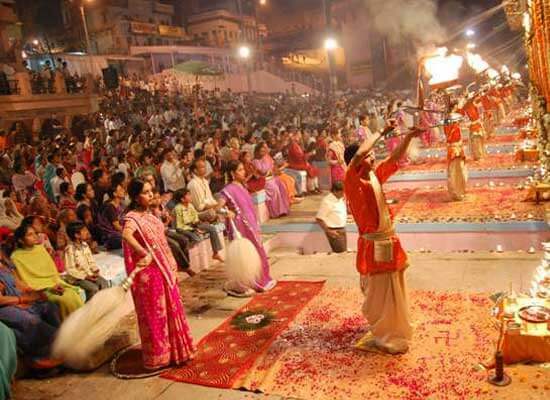 On this tour, we take you to some towns of India known for their temples worldwide. 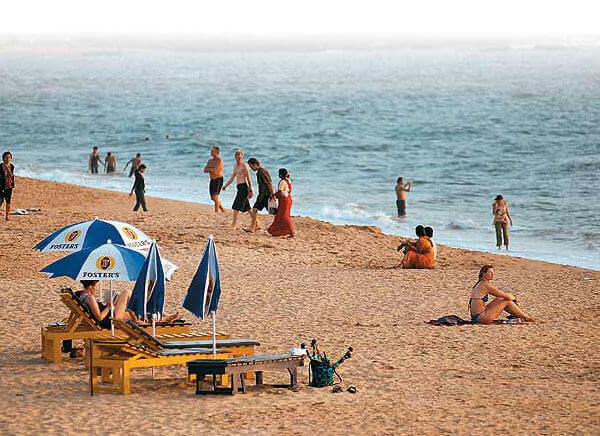 Delhi has the Lotus Temple, Akshardham Temple; Jaipur has Birla Temple, Galtaji Temple; Agra has mughal places of worship like the Jami Masjid; Orcha has the Chaturbhuj temple dedicated to the worship of Lord Vishnu; Khajuraho has aesthetically carved ones and Varanasi is not behind as it has bathing ghats too. We would like to bring to your notice that there not the only temples we visit but are only some. 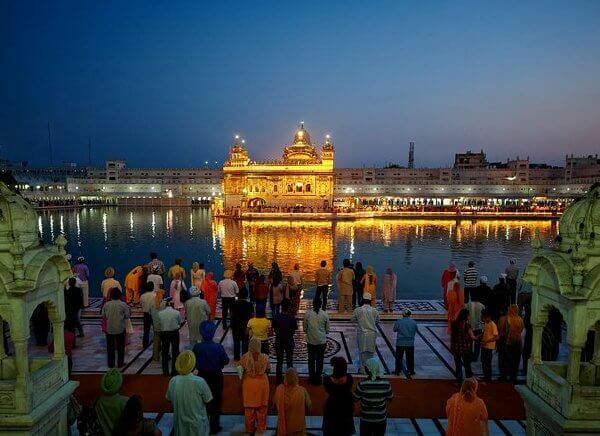 Join us on 10 Days Golden Triangle with North India Temple tour to discover the serene India. You will be warmly welcomed by our executive as soon as you arrive at Delhi. Check in to a hotel with the help of our executive, He will give you all the tour related document and some discussion abouth ithen relax overnight having sweet dreams. After breakfast, venture out on a sightseeing tour of Delhi. Jama Masjid, Red Fort (built by Shahjahan), the nearby streets of Chandni Chowk market and Rajghat are some tourist attractions in Old Delhi; Humayun’s Burial, Qutub Minar (2nd tallest minaret in India), Lotus Temple (temple of Baha’is), Birla Temple, Iskcon Temple, Akshardham Temple, India Gate, President’s house & all the secretariat buildings on Rajpath are some spots in New Delhi which are listed in your itinerary. Start for Jaipur after completion of city tour of Delhi(6 hours drive) and transfer to a hotel on your arrival. Overnight stay at Jaipur. 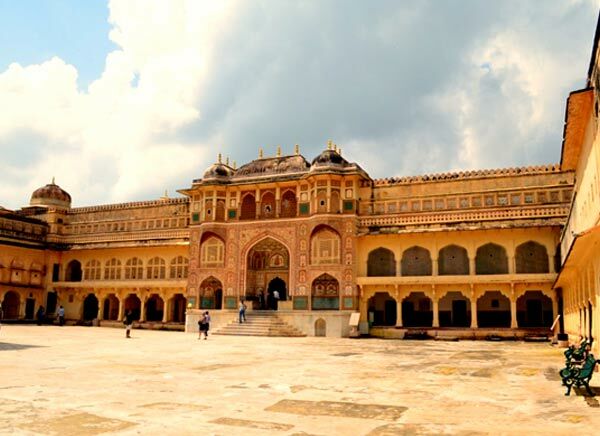 Sightseeing tour of Jaipur - the pink city starts on third day with climbing up to the Amber Palace (via an elephant ride), Jaigarh fort and Nahargarh Fort. Later, we go to the main Jaipur city exploring sites like Hawa Mahal embracing 935 windows in its five floors, museum of City Palace, Jantar Mantar of Jaipur exhibiting astronomical devices of past times, Birla Planetarium etc. Also as the tour has the main purpose of visiting temples we explore the spiritual Jaipur in Birla Temple, Moti Doongri, Govind Dev Ji Temple, Galtaji Temple. Return back to the hotel. Night stay at Jaipur. One more day to spend in Jaipur enjoying its beauty as we excurse its fringes. Samode, Sanganer, Lake Ramgarh, Tonk and Karauli are places on the schedule for us. PPost breakfast, a 5.5 hours drive will convey you to Agra. Enroute stopover at Fatehpur Sikri where the sight of mighty Buland Darwaza, Jama Masjid and tomb of well known Sufi saint Sheikh Salim Chishti will give your senses a high. 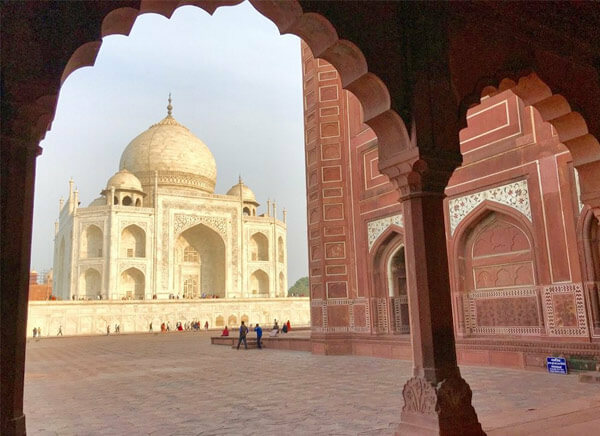 As you arrive at Agra head towards a hotel to relax for some time and later, we embark on a city tour of Agra seeing Taj Mahal - principal jewel in the crown of India, Red Fort of Agra, Jama Masjid, Tomb of Itimad-Ud-Daulah etc. Reposeful overnight stay at the hotel in Agra. Morning meal at the hotel will be followed by a short trip of Jhansi and Orcha. Jhansi has great historical importance because the queen of this province Maharani Laxmi Bai had shown great valour during the 1857 Sepoy Mutiny- first independence war of India. Get to know more about her as you visit here. Our next destination is Orcha, a town on the banks of Betwa River in state of Madhya Pradesh. 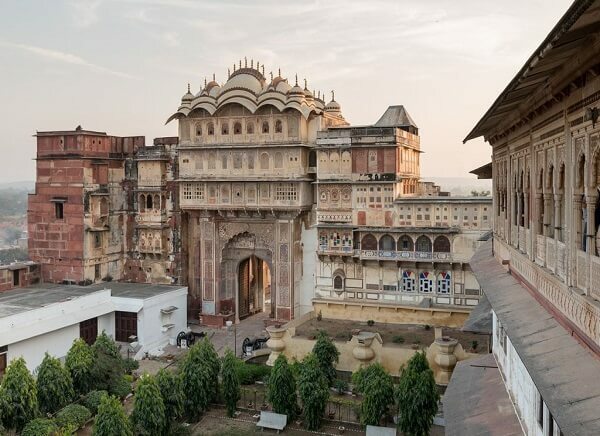 Temples and Palaces to visit in Orcha are the very old Chaturbhuj Temple, Laxmi Temple, Ram Raja Temple, Raj Mahal and Jahengir Mahal built by a Rajput king but named so because Jahengir was the son of a Rajput princess Jodha Bai. Overnight at the hotel in Orcha. After breakfast check out from hotel and transfer to Khajuraho (5 hours drive) which has the most splendid temples in India. Once in Khajuraho, we transfer you to a hotel. 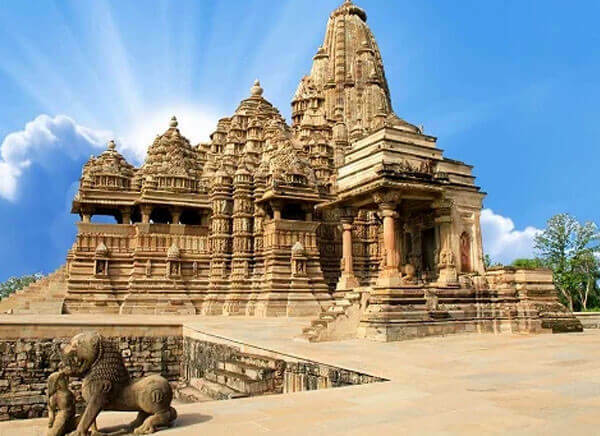 Later, we go for sightseeing of Khajuraho temples which are now collectively called as UNESCO World Heritage Site. 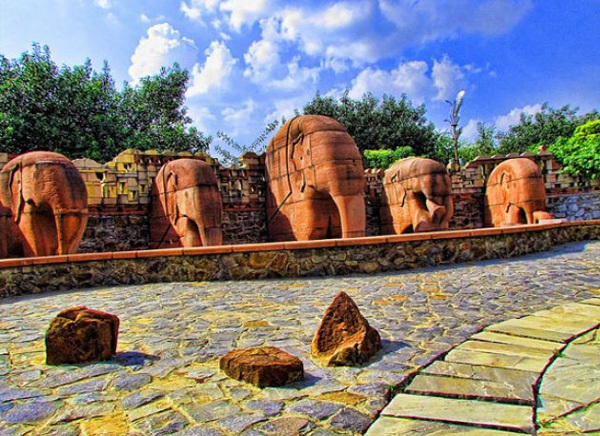 These temples were built under the Chandela dynasty and perfectly showcase the openness of Indian culture along with ‘worth applauding’ work done by the sculptors. Temples on the itinerary are Kandariya Mahadeo, Matangeshwara Temple, Parsvanath Temple, Adinath Temple, Vishwanath Temple and many more. Stay overnight at the hotel in Khajuraho. 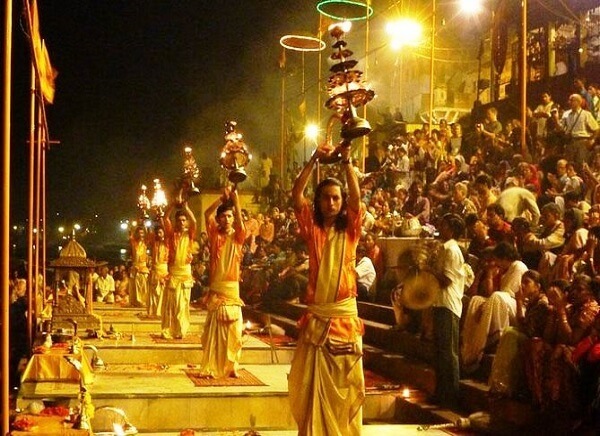 Holy city of Varanasi is one of the most revered cities in Hindu pilgrimage because it is the home of Mahadeva/ Shiva (the supreme God as according to Vedas). Ganga the sacred river flows from here originating from Shiva’s long braided hair, temples and ghats line the river and offer peace of mind and tranquil experience to the devotees. This city is reached on day eighth and tourists are free to relax and rejoice themselves in its reposeful atmosphere at the hotel here. 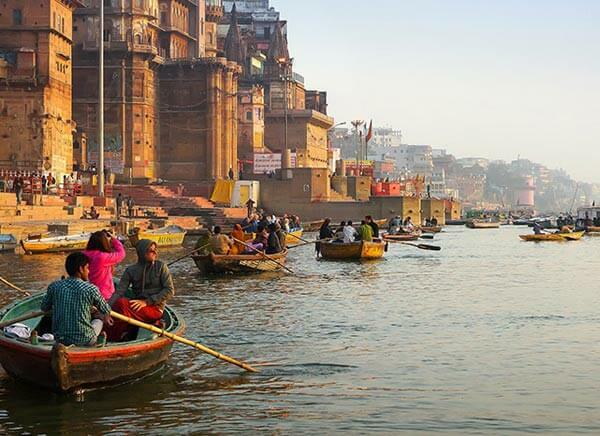 We watch evening ritual prayers on the ghats and take a boat ride through river Ganga. Come back to the hotel in Varanasi and stay overnight here. 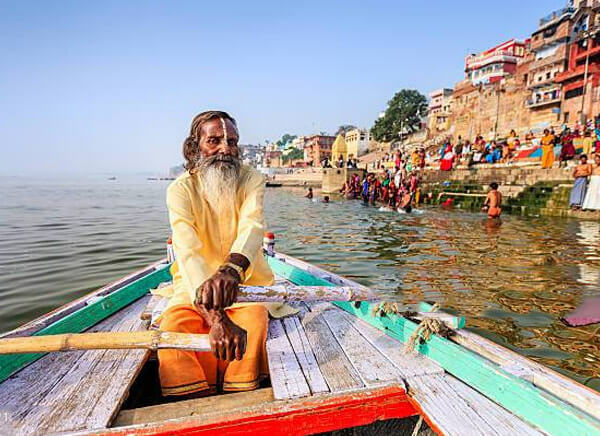 As mentioned earlier that Varanasi is a city of Ghats and temples therefore, on this day we take you to the ghats where you can take a holy dip in the water of Ganga so that all your wrong doings are forgiven by the Lord. Also you can visit the Benaras Hindu University which is one of the leading Universities in India. We will take you back to Delhi on the last lap of Golden Triangle with Khajuraho Varanasi tour. We drop you at the airport at the end bidding you a warm farewell as you proceed to fly back home.